Tankless hot water heaters have been the choice of energy conscious consumers over the past 15 years. The new trend is hybrid hot water heaters that combine tankless technology with a tank. Which is better? I’m vote Hybrid/Heat pump style hot water heaters, especially in warm humid climates. 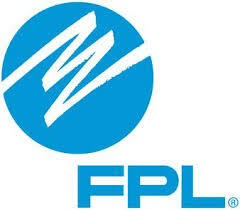 Update: FPL weighs in on the issue and the Heat Pump Hybrid wins with them as well, read more here. The tankless hot hot water heater is only on when there is a demand for hot water. This saves money over the traditional tank style heater. The old tank style can lose energy from heat loss because the hot water is stored. The disadvantage is that many tankless heaters may need to be installed near the point of use. If a whole house tankless is used, then you have issues with having to run the water to drain the water in the line before you get to the hot water. You can install a recirculating pump to eliminate this lag. However that requires and electric pump and possibly a tank. The tank is what we were trying to avoid with this installation. Another disadvantage is flow rate, many tankless hot water heaters have low flow rates and the tankless heaters with high flow rates that can handle a whole house tend to be very expensive. The hybrid heat pump hot water heater use electricity to move heat from one place to another instead of generating heat directly. Therefore, they can be two to three times more energy efficient than conventional electric resistance water heaters. To move the heat, heat pumps work like a refrigerator in reverse. 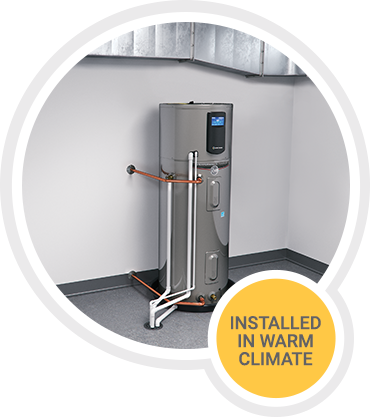 Heat pump water heaters require installation in locations that remain in the 40º–90ºF (4.4º–32.2ºC) range year-round and provide at least 1,000 cubic feet (28.3 cubic meters) of air space around the water heater. Cool exhaust air can be exhausted to the room or outdoors. Install them in a space with excess heat, such as a laundry room or a garage. The heat pump also dehumidifies the space where it is installed. The energy costs of a hybrid hot water heater are slightly lower or equal to the tankless style heaters. 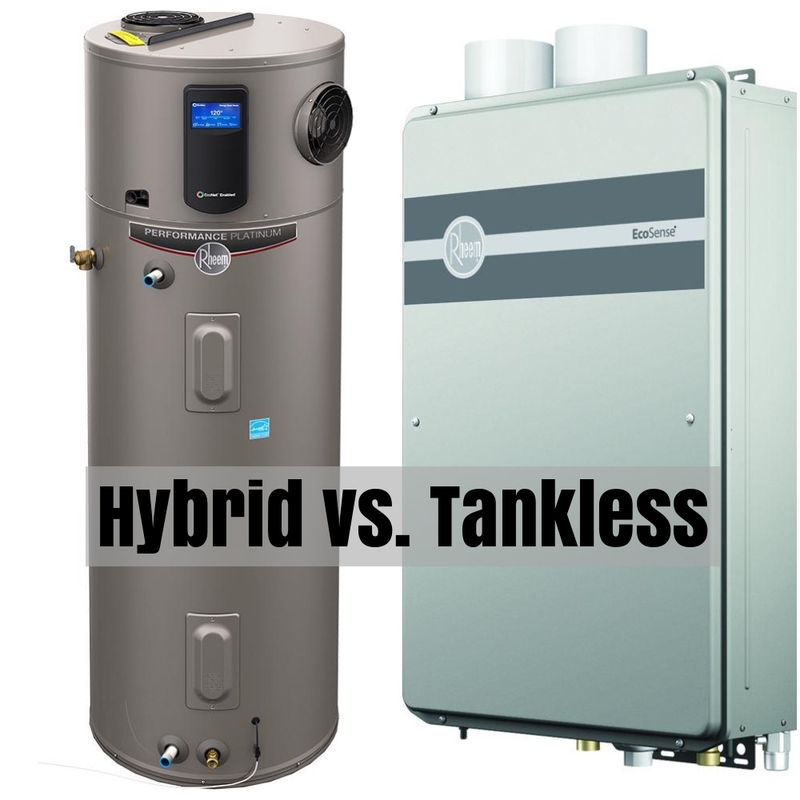 If you live in a warm climate, the clear winner is the Hybrid Hot Water Heater (Heat Pump), if you live in a colder climate the tankless would be a great option. 2. Cools Your Garage or other installation space, while the Heater is running. Call us 561-869-4497 if you are in Palm Beach, Martin, or St. Lucie County in Florida, and we will be happy to consult with you on your hot water heating needs. Here is an example of a recent water heater installation in Boyton Beach, Florida. The old water heater was located in the garage next to the furnace. The estimated yearly energy costs was listed as $555 per year. The customer has has 2 teenagers, so the costs were probably more. Originally we quoted an electric tankless hot water heater that would heat water for the whole house. Tankless electric water heaters require much more electricity when in use. So to add the new panel and the new breakers, would have made the cost too high. Our solution was to install a hybrid or heat pump hot water heater. This did not require any extra electrical work and the energy savings beat a tankless hot water heater. As and added benefit, the hybrid hot water heater will blow cool air into his garage which is only partially cooled by his AC. Other benefits include Wifi connections. The customer can set his hot water heater, turn it off, put it on vacation mode or change the temperature. He can do this through the Rheem App that he downloaded for his iPhone. The Rheem Professional Prestige® Hybrid Electric is the most efficient water heater available (Beats Tankless) – with up to $4,000 in lifetime savings and less than 2 year payback*. This amazing hot water heater will deliver fast hot water with less energy used than traditional or tankless hot water heaters. Also, this water heater will cool and de-humidify the space where it is installed. This is perfect for garages in Florida. Water Heating Experts LLC is a licensed/certified plumbing contractor in the state of Florida. We specialize in hot water heater installation. We have installed many hybrid/heat pump hot water heaters in Palm Beach County and the customers have been very pleased with the results. Contact us today to get plenty of hot water and to save money, cool your garage, and dehumidify it with one installation. Phil Tornelli is a Business Energy Survey Program Manager with over 30 years of experience helping a wide range of customers from small- and medium-sized businesses to large manufacturing facilities reduce their energy costs and improve energy efficiency. Question: Are tankless water heaters better than traditional water heaters? Thank you for asking this question, Felix. In today’s cost-conscious society, any way to save energy and money should be explored. The cost-saving benefit of replacing a conventional electric water heater with a tankless electric heater is often overestimated. The energy savings from eliminating the heat losses through a typical insulated storage tank is around $20 to $30 annually. Tankless water heaters (sometimes called instantaneous water heaters) don’t have a water storage tank and therefore water has to be heated much more quickly as it passes through a compact heating unit and typically requires an upgraded electrical circuit to handle the extra power. Now, there is an attractive alternative to tankless water heaters called a heat pump water heater (HPWH) which requires no electrical upgrades and can save up to approximately $175 annually on water heating costs. Modern heat pump water heaters which take up no more floor space than conventional heaters are reliable and available from several familiar manufacturers with warranties of around 10 years.